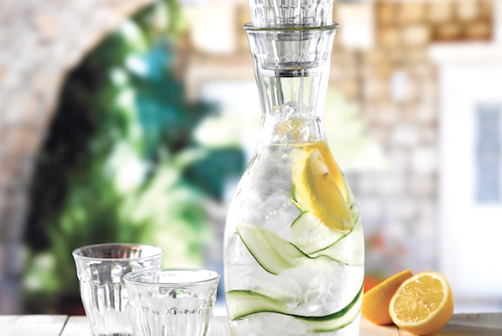 Artis, the leading distributor to the foodservice industry of glass- and tableware, has added a new carafe to its Picardie glassware range. Additionally, all Picardie glasses have been reduced by 20% until 30th September 2018. 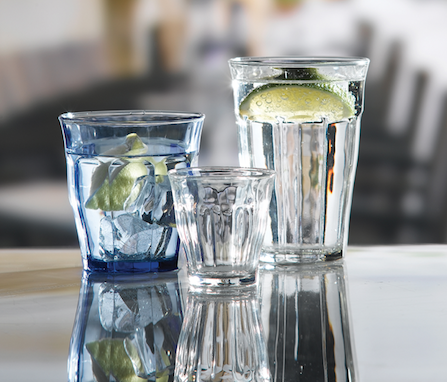 The Picardie range of glassware is a popular choice for caterers and bar owners. Now Artis has added to the range with an all-new carafe with the ability to stack three different sizes of the Picardie glasses ( 9cl, 13cl and 16cl ) in the neck. This makes it a space-saving choice in casual dining restaurants and perfect for conference venues and boardrooms. The carafe has a capacity of one litre with a list price of £5.50. 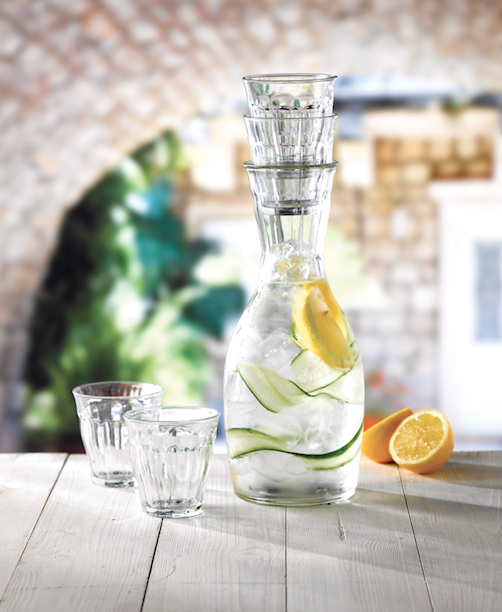 The full range of Picardie glassware comprises 14 different styles and sizes, three of which are compatible with the new carafe and may be stored in its neck. Picardie glassware is versatile and, being manufactured in Duralex tempered glass, it is highly practical and suitable for both hot and cold beverages. The latest glassware styles include a ‘Smooth Frost’ finish and ‘Soft Touch’ black. Artis has reduced the price on all Picardie glassware (excluding the new carafe) with a discount of 20% off list prices until 30th September. Including the new discount, list prices now range from £0.44 for the 9cl tumbler to £2.12 for the Picardie 36cl Smooth Frost beverage glass. Picardie is just one in a comprehensive collection of glassware contained in the 2018 Artis catalogue, now available. For your own personal copy, call 020 8391 5544 or go online at www.artis-uk.com to download.